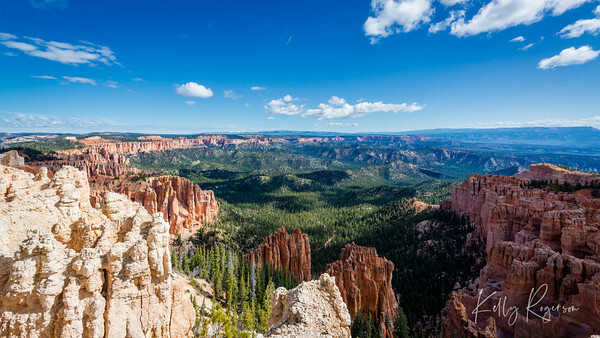 Looking out over the valley of Bryce Canyon on a sunny morning. 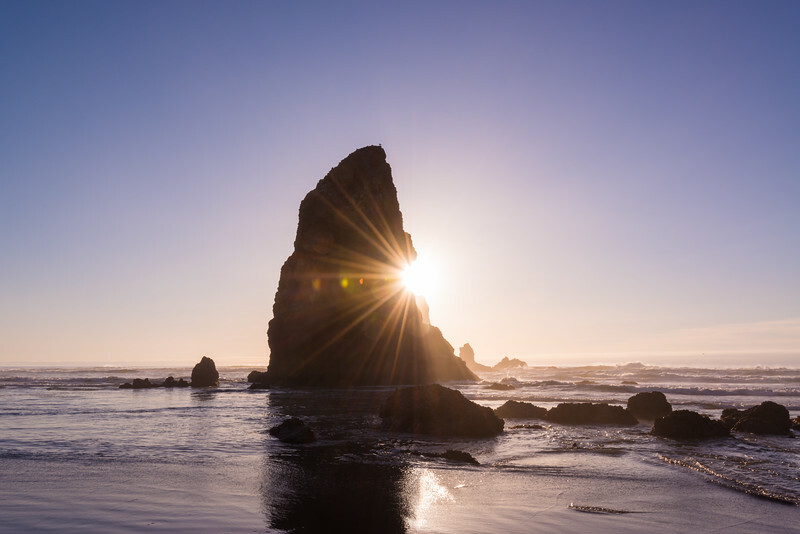 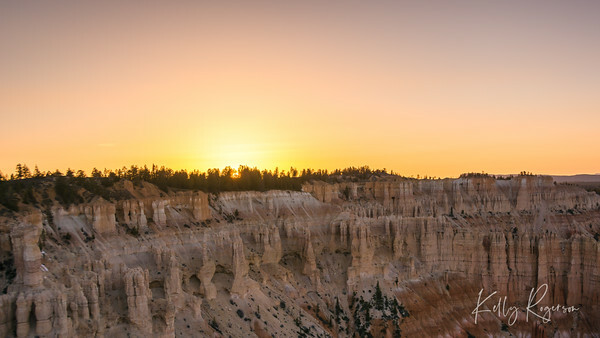 Standing on an overlook that no longer exists due to erosion, we witnessed a beautiful golden sunset that hung on forever. 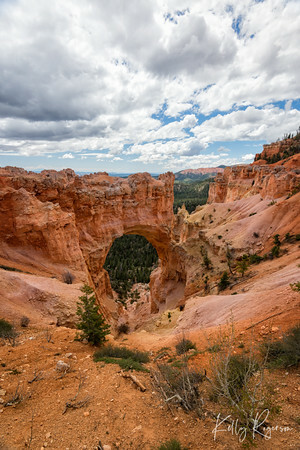 Bryce Canyon amphitheatre with a rain storm in the distance. 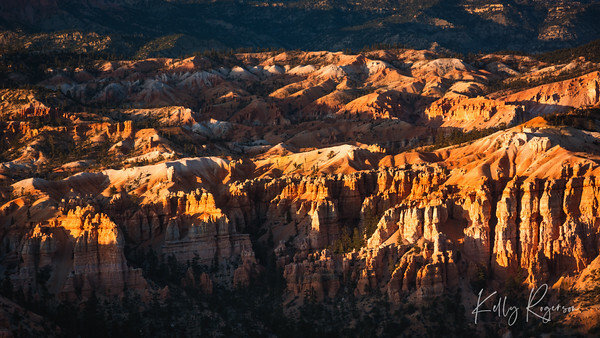 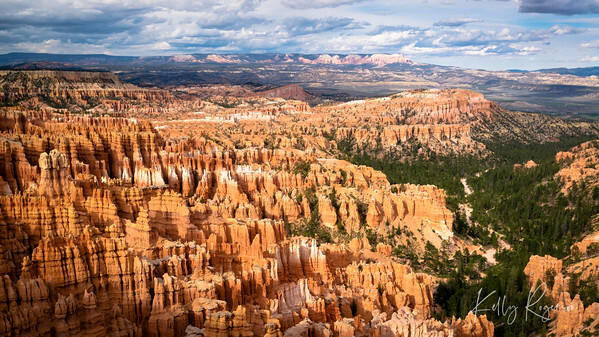 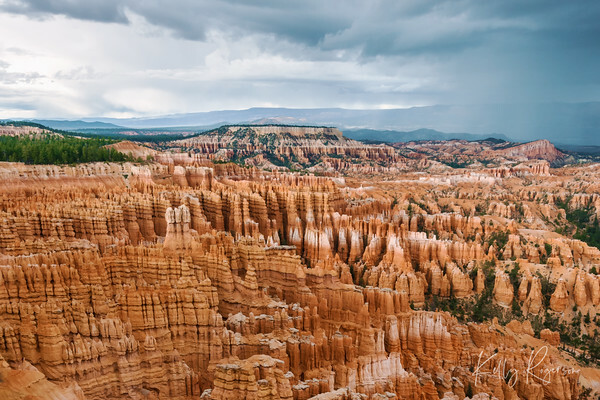 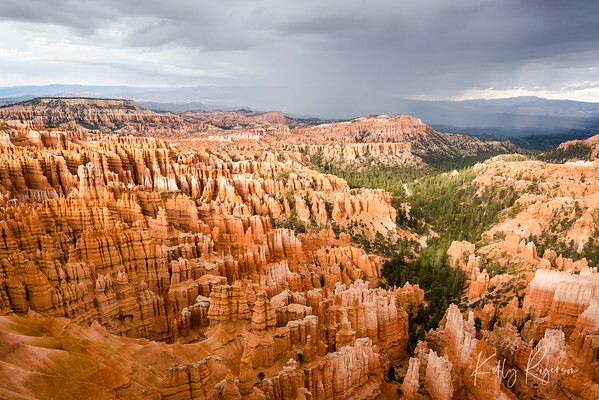 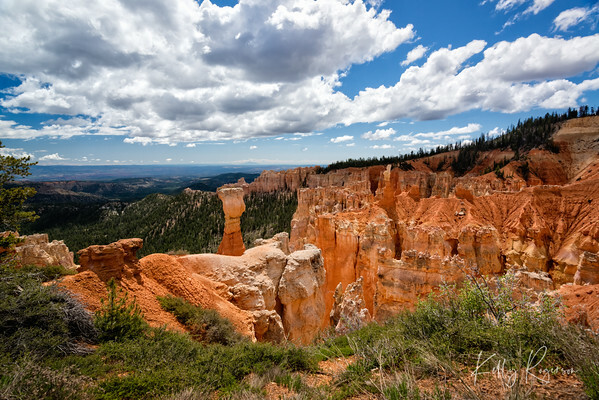 Bryce Canyon National Park, Southern Utah. 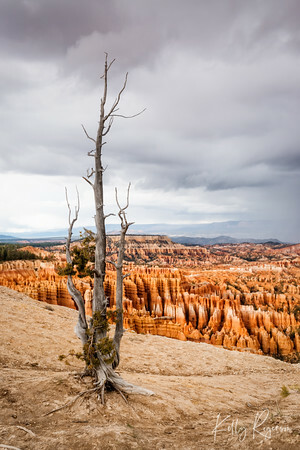 Bryce Canyon during a spring/summer storm. 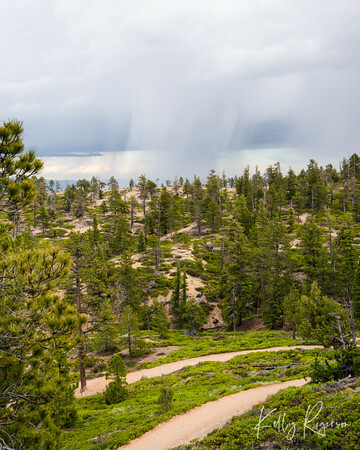 No crowds, no one around, just us, the trees and nature...and the rain. 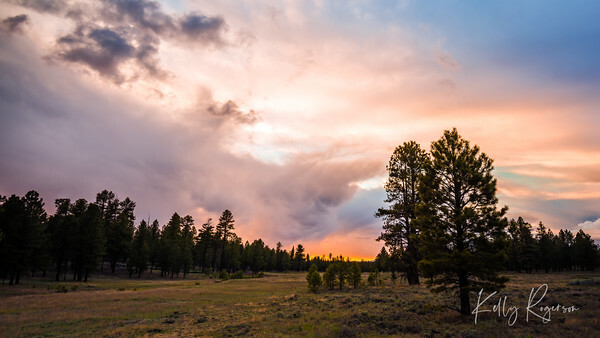 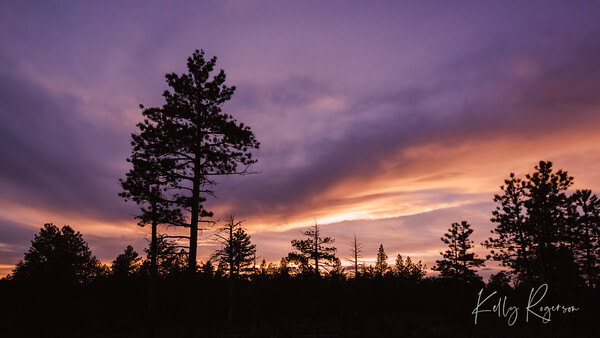 On a night where the clouds prevented a sunset photo of the red rock canyons of Bryce Canyon, a quick drive away from the canyons more to the trees gave way for this gorgeous moment. 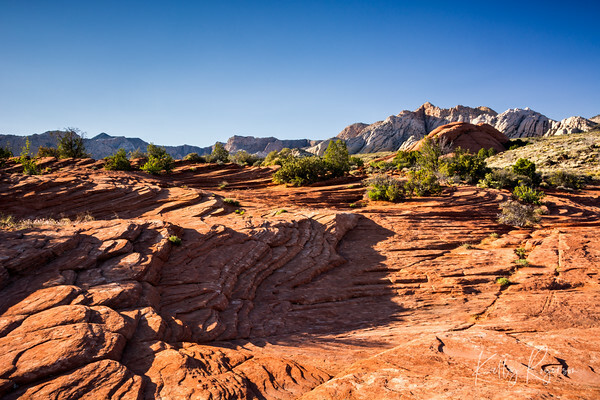 Snow Canyon State Park, Southern Utah.